I took this while waiting for a session at the Festival Of Politics here in Edinburgh. 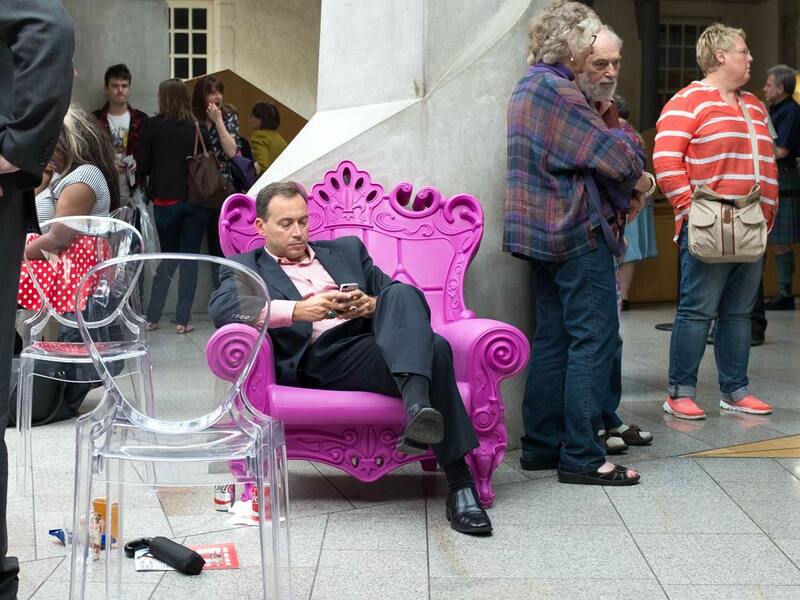 There were one or two interesting chairs in the Parliament building. I was sitting in a chair that was a huge hollowed out theatre mask. This man was sitting in something that reminds me of Alice In Wonderland. I was struck by how at ease he looked and how well he occupied the chair – and of course the contrast between his suit and his grooming and the style of the chair. Well spotted 🙂 I hadn’t noticed his shirt. He does look very relaxed. I was going to comment on his shirt too. They make a great match.